A Night at the Movies: From Broadway Musical to Filmwill be presented by the LC Wind Symphony and Orchestra Thursday and Friday at 7:30 p.m.Sydnor Performance Hall, Elliot & Rosel Schewel Hall. 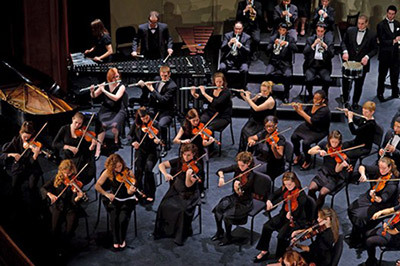 The Wind Symphony and Orchestra, under the direction of Dr. Oeida M. Hatcher, dean, School of Communication and the Arts, will perform pieces from West Side Story, The Pajama Game, Wizard of Oz, Oliver, and Sweeney Todd. Free tickets are required for seating. Call 544.8344 for tickets.